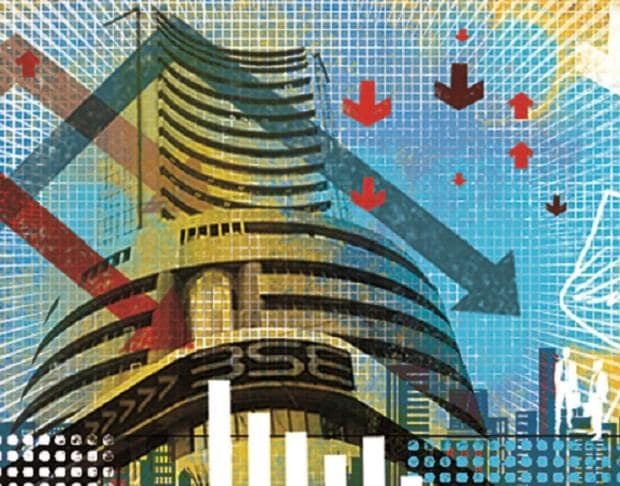 Heavy selling in financials, auto and pharma counters saw the benchmark indices ending in the negative territory for the second consecutive session on Monday. The S&P BSE Sensex lost 369 points or 1.02 per cent to end at 35,657. ICICI Bank, Reliance Industries (RIL), HDFC and Bajaj Finance contributed the most to the index's decline while TCS, L&T and Coal India gave the much-needed support. On NSE, the benchmark Nifty50 index slipped below 10,700 level to settle at 10,662 with 36 components ending in the red and 14 in the green. Among sectors, Nifty Bank index ended nearly 2 per cent lower at 26,653, dragged by Indian Bank and Central Bank of India. Also, Nifty Pharma closed 2.5 per cent lower at 8,664, weighed by Piramal Enterprises and Cipla. Shares of ICICI Bank fell lower for the eighth straight day to Rs 338, down 5 per cent on the BSE, on the back of heavy volumes. The stock, eventually settled at Rs 343.45 apiece, down nearly 4 per cent. This apart, graphite electrode manufacturer HEG continued to trade under pressure, falling 20 per cent to Rs 2,194 on the BSE on the back of heavy volumes. The stock is currently trading close to its 52-week low of Rs 2,214 touched February 2, 2018 in intra-day trade. After a heavy beating in the previous session, ZEE Entertainment Enterprises ((ZEEL) rallied in the early trade on Monday after the management clarified there had been no default in repayment of loans by the parent Essel Group and that lenders had shown faith in the Indian promoters. The stock ended nearly 17 per cent higher at Rs 372.50 apiece on BSE. In the broader market, S&P BSE Midcap index closed 270 points or 1.84 per cent lower at 14,412 levels, while S&P BSE SmallCap index ended at 13,722, down 279 points or 2 per cent.